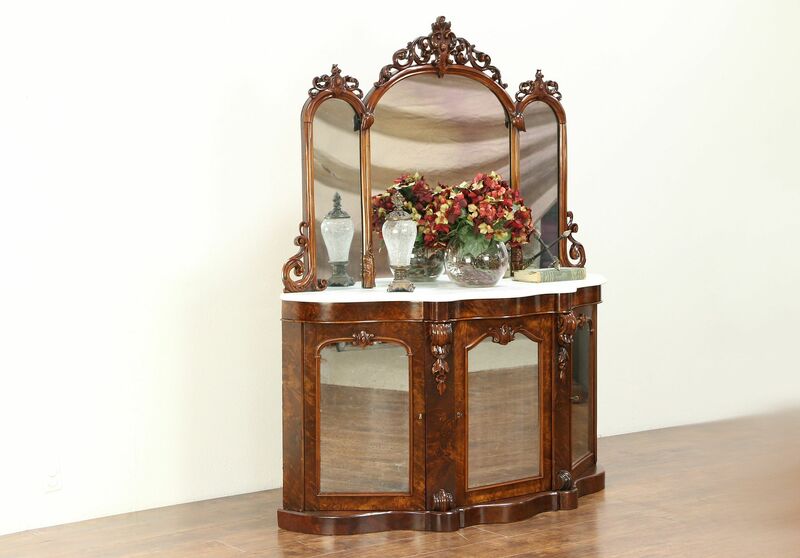 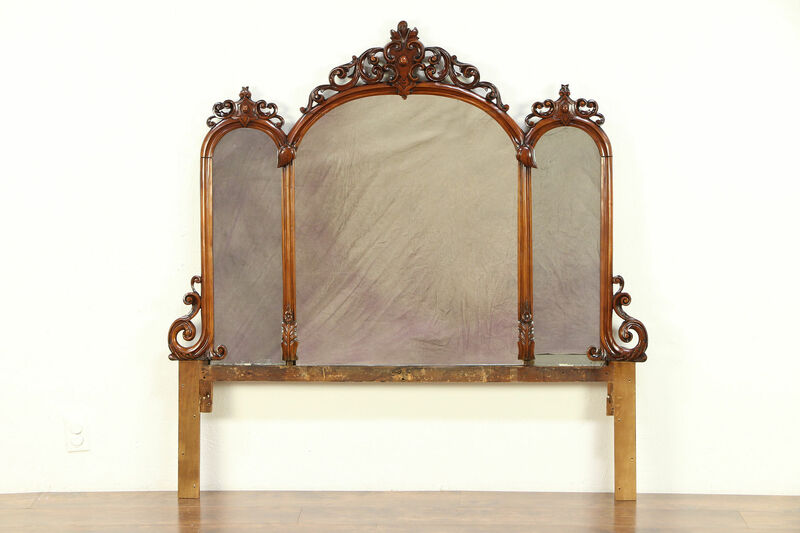 A Victorian period salvage triple mirror was hand carved of solid mahogany about 1860 in England. 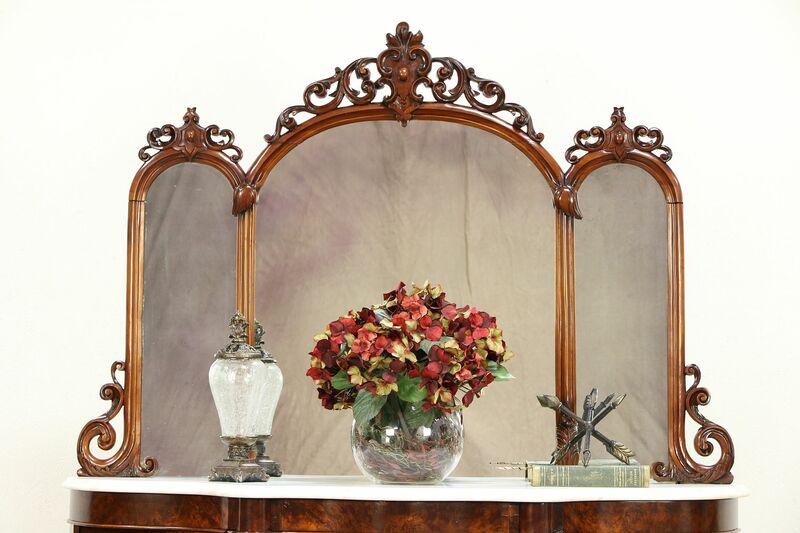 The wood supports on the base could be removed to use as a fireplace mantel mirror. 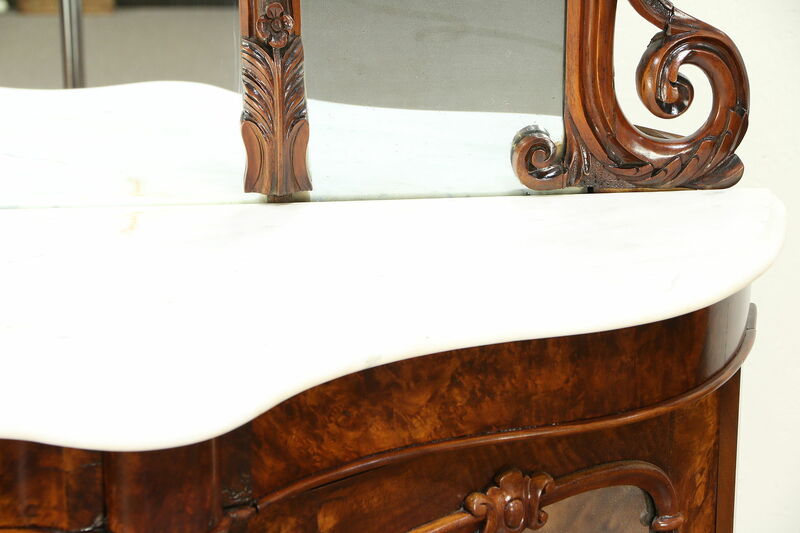 The center mirror is later, outer original mirrors have antique "smoke" to show their age. 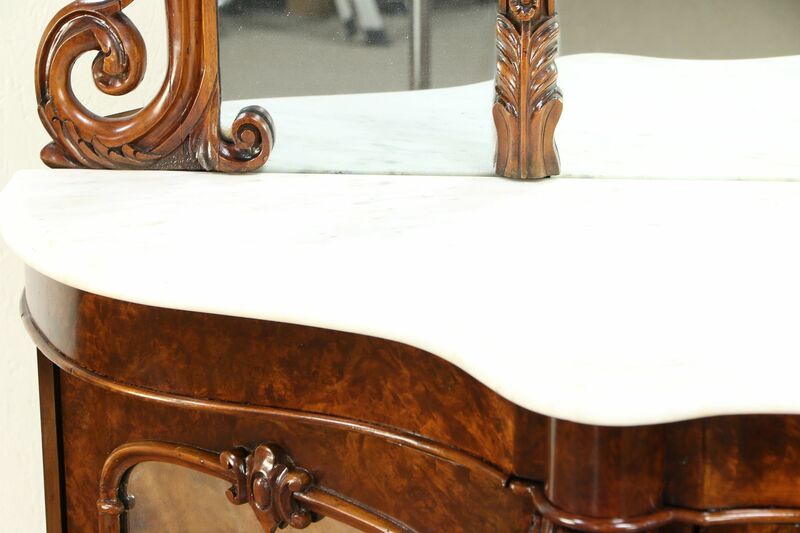 The restored gleaming finish is in excellent condition on the delicate carved and pierced frame. 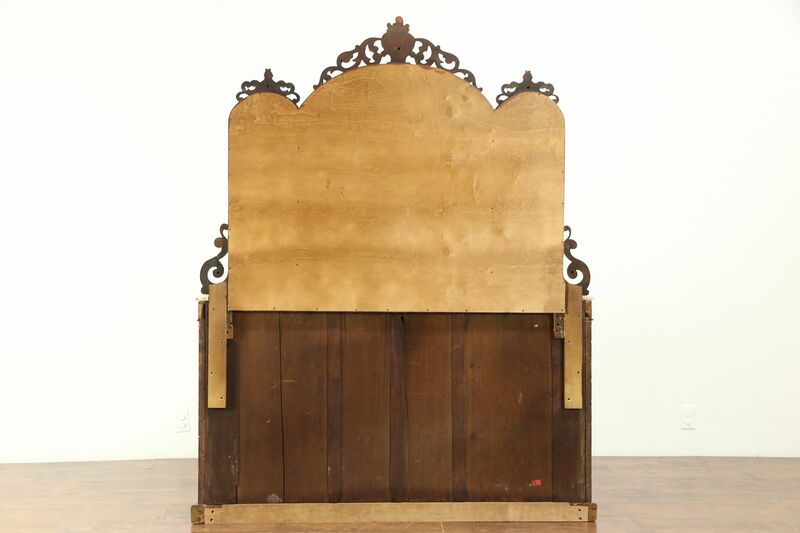 The back has been reinforced with a wood panel for strength. 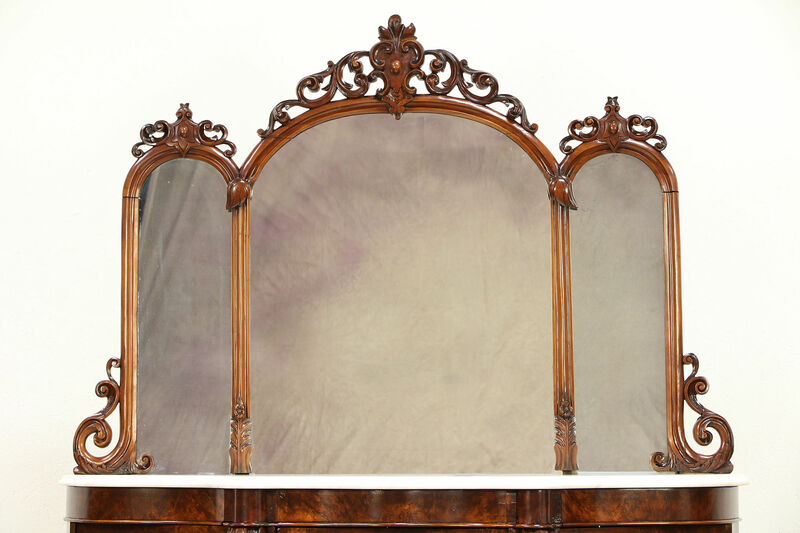 Size as shown is 58" wide, 57" tall and 2 1/2" deep, if the base were cut off just below the mirrors as intended, height is 41."